Nigerian soul singer and producer TENI has released a brand new Dancehall-Soul single and collaboration with Shank titled “Bad Boy”, co-written by Teni and Shank, and co-produced by Teni herself, Shank and John Black. With comparisons to the great Sade Adu, and tastemakers BBC and original Rock bible NME in the UK, Washington Post and XXL magazine counted as huge fans, Teni who previously worked as a fashion designer in Lagos, Nigeria, is proving to be the rising star of Soul music. Her last single “Your Love Is The Key” garnered playlist support from Kiss FM Ibiza amongst other FM stations in Europe and the US and Missy Elliot’s official DJ, DJ Mellow-D. 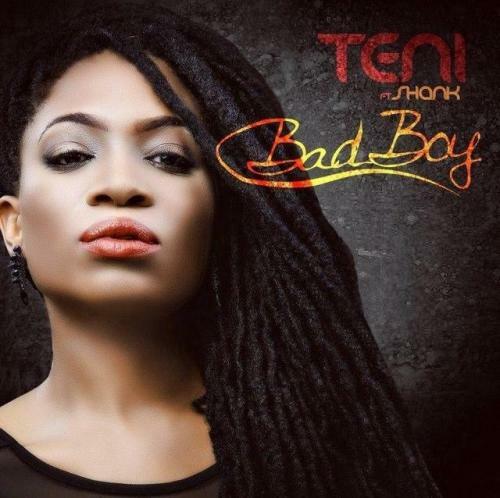 The new single “Bad Boy” is an exciting alternative mash up of Teni’s glorious Soul sensibilities and Shank’s infectious Dancehall vibe to create a compelling tale about seduction and irresistible attraction with Shank playing the ‘bad boy’ and Teni playing the ‘good girl’, backed by lush tropical drums, hauntingly captivating backing vocals and piercing horn arrangements. Teni has featured alongside rappers like Krayzie Bone and Max B in a soon to be released major label project and is one of the few indie artists who made the cut with a song called 'Power.' She will also be featured in XXL magazine's Freshman Issue 2015 and is set to take the world stage by storm with her afrosoul movement.